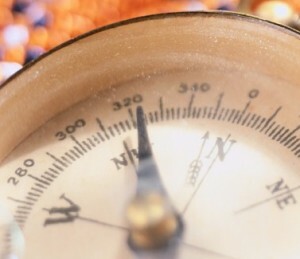 Men’s Compass: Every man needs a compass to navigate the terrain of life. Join other men as iron sharpens iron. We will answer the questions that every man must face regarding their relationships, finances, leadership, health, and vision. Developing spiritually strong, courageous, and loyal men are important to Pastor Everage. Pastor Everage recommends the following books for the spiritual enrichment of every man. “Why Men Hate Going to Church” and “The Map – The Way of All Great Men” by David Murrow and “Kingdom Man – Every Man’s Destiny, Every Woman’s Dream” by Tony Evans. Men’s Huddle: Men, join us weekly (Sunday) for the The Huddle at 10:30 am. Check our calendar for the next meeting. VCC Women of Faith Fellowship is an integral part of the Church. First Lady Cheryl Everage believes the spiritual growth and development of women are critical for successful Godly living. She believes women are empowered, compassionate, and determined. As women we must stand boldly and confidently in the things of God. We must strive to be Godly examples at all times. We are role models to the younger generation of women, strength to our families, and pillars in our communities. Our fellowships are conducted in a fun and enjoyable environment and we invite all women to join us. Check the calendar for the next Women’s Fellowship gathering. VCC Children’s Ministry loves and cares for every young person that comes through the door. We consistently look forward to helping children learn and apply the vision of the Ministry; to Build, Advance, and Manifest God’s Kingdom in their lives. We believe that as teachers it is our calling and vocation to give the children an excellent Christian foundation. This information and teaching will help them learn how to effectively posses their harvest in Godly ways. We remind children that doing things God’s way is not boring and dull, and it does not mean you can not have fun. We achieve this through games, music, singing, dancing, object lessons, puppetry, and movies. The couples ministry is important for the healthy development of families. To help meet our goal of providing quality teaching and marital health information, Vegas Christian Center has partnered with FamilyLife. In addition to this, we provide periodic seminars and workshops featuring their curriculum. We invite and welcome you to participate in their annual FamilyLife Weekend to Remember Marriage Conference typically held here in Las Vegas, Nevada. You can receive a substantial discount on the conference if you register through with our group rate. Check the FamilyLife website for a conference in your area. Our group rate can be used at all conferences nation-wide. Click Here for the FamilyLife Weekend To Remember schedule, to find a location, and to register for an event. Leadership Training For Pastors, Business Owners, and Christian Leaders: If you are a leader of any kind, we highly recommend the teaching of Dr. Dean Radtke. Pastors are in short demand because of leadership burnout. Take a quick look at this clip and learn about the statistics facing the Church of the Lord Jesus Christ. Contact us for information about the next leadership training seminar. Pastor Everage would be more than happy to introduce you to the Maximum CEO Leadership Curriculum in hopes of helping you make a connection to Dr. Radtke and the Ministry Institute. What ever gifts, talents, or abilities that you possess use it for the Glory of God to build, advance, and manifest His Kingdom in the life of God’s creation living in your city, the nation and the world.